The open face helmet is often referred to as the three-quarter helmet. This type of helmet will cover the rider’s head, without covering their face. The risks involved should be evident. These helmets are much less protective than the full-face alternatives and they’ll also experience additional wind resistance. This will place more strain on your neck, when traveling at high speeds. Of course, there are a few benefits associated with open face helmets. First and foremost, these helmets provide the rider with a larger field of view and gives them the ability to touch their face freely. These helmets are recommended for those that simply do not like the lack of freedom presented with the full-face models. Are you looking for an amazing open-face motorcycle helmet, which won’t empty your wallet? 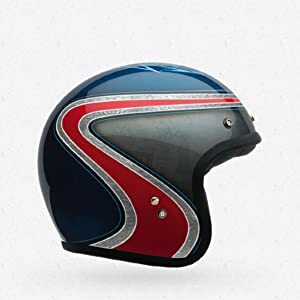 If so, you should look no further than the Bell Solid Custom 500 Touring Helmet. The helmet is finished with a sleek Matte Black and will look great on almost anyone. The helmet is Certified by the DOT and is protected by an extensive 5-year warranty. The helmet features a padded chin strap, which will keep the helmet snuggly on your head, without feel uncomfortable or restrictive. Overall Assessment! When it comes down to it, the Bell Solid Custom Helmet is somewhat basic, but it will still do a good job of protecting the rider. The helmet very comfortable and the padded chin strap will ensure a tight fit. Unfortunately, the helmet is a little less protective than a full-face helmet, but that is to be expected. 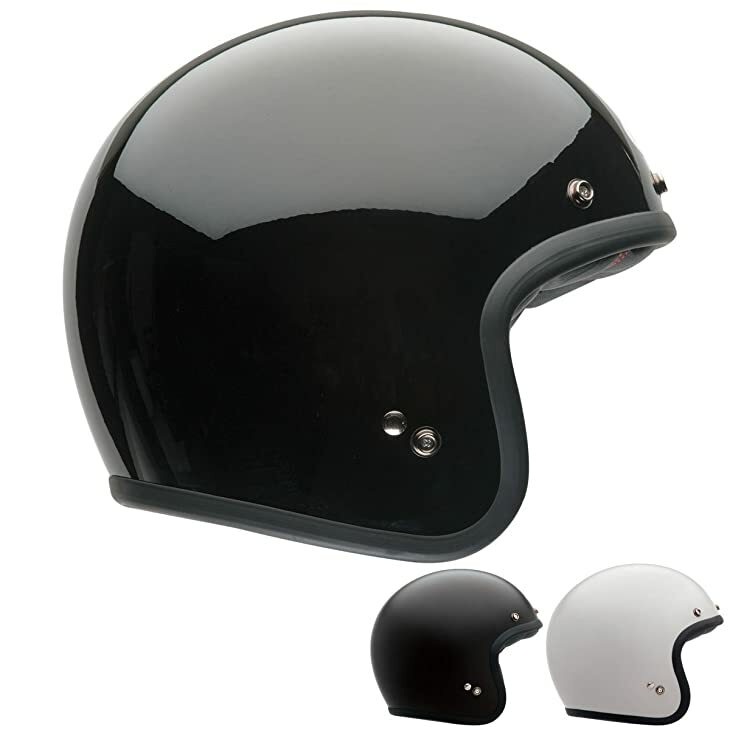 Those that want a super sleek and stylish open-face helmet should definitely check out the HJC IS-33. The helmet is available in various color and each looks brilliant. The helmet features an advanced ventilation system, while will keep the wearer’s head comfortable and cool throughout their ride. The helmet also comes with an anti-scratch 3D shield, which deliver 95% UV protection. And of course, the helmet is DOT certified. The helmet is a little tight on the jaw and might be a little less comfortable than the Bell Solid Custom 500 Touring Helmet. Overall Assessment: At the end of the day, the HJC IS-33 is a great helmet, but it might not be suitable for everyone. Those that desire extreme comfort will want to consider opting for the Bell Solid Custom or one of the other aforementioned models. 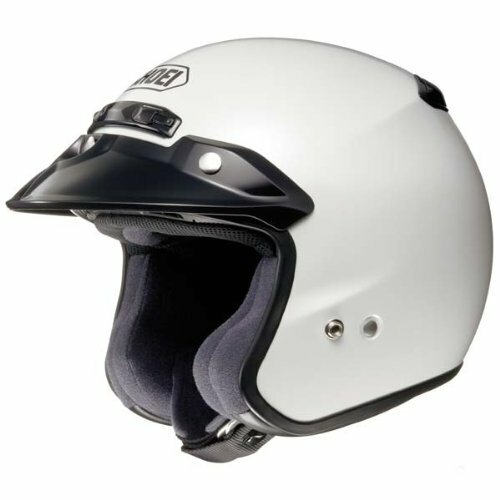 The LS2 Helmet OF569 is an excellent open face helmet, which delivers unparalleled protection. The helmet offers plenty of protection, yet will still provide you with the widest field of view. The user will be able to secure the helmet snuggly with the use of the 3-point chin strap. The ventilation system is actually adjustable, so you’ll be able to control the ventilation to some degree. And, the helmet is available in a few different color options. 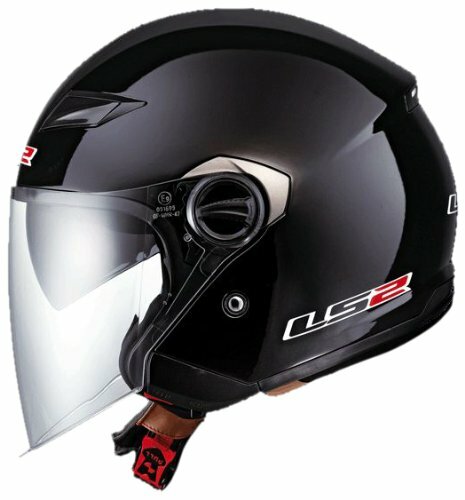 Overall Assessment: The LS2 Helmets OF569 Open Face Motorcycle Helmet is a good investment, but it does have a few minute flaws. The helmet is nowhere near as comfortable as the Bell custom Cruiser Helmet. Nonetheless, it still provides a sufficient amount of protection and is well worth its overall cost. Everyone has their own preference, when it comes to motorcycle helmets. If you are looking for a helmet that is stylish, comfortable, and cool, you should definitely consider the Shoe RJ Platinum. This helmet is embedded with the necessities that every motorcyclist needs and desires. Its lightweight design is suitable for all genders, plus it is available in various colors and sizes for you to choose from. 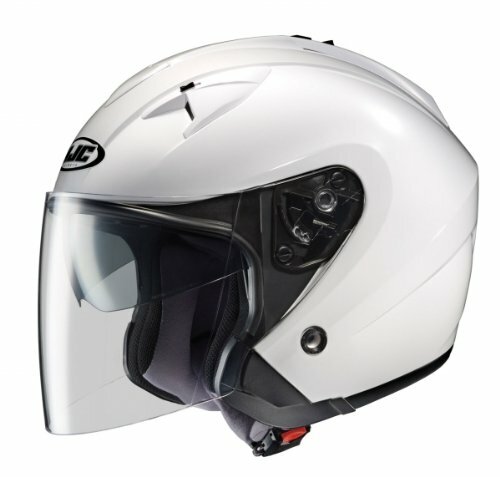 Overall Assessment: The ﻿﻿﻿Shoei RJ Platinum R is one of the best helmets on the market, without the enormous price tag. It is designed to offer the perfect fit and a whole lot of safety. Females may find the larger design undesirable, but if you are concerned about your safety, when riding in congested areas, you will appreciate it. If you are from the old school era, you will absolutely love the Bell Custom 500. This helmet is designed to replicate the old school helmet, but it is much more than just that. The interior EPS is very durable and comfortable, but it will not alter the airflow in the least. The chinstrap functions just like the old school help, utilizing a D-ring closure. The D-ring is constructed out of stainless steel material, so it will not rust even after years of use. If you like to customize your style, you will definitely want to take the time to view all of the optional colors. The price is right and the manufacturer’s warranty makes it even friendlier. Overall Assessment: The Bell Custom 500 Airtrix Heritage is a great helmet. Its old school design will definitely draw attention from all angles. Bell offers a separate face shield that is designed to fit this helmet perfectly.